Bundle up: January’s #FranklinArtScene is ON for tonight! January’s edition of #FranklinArtScene IS ON!! Baby, it is DEFINITELY cold outside, but that’s not stopping us! 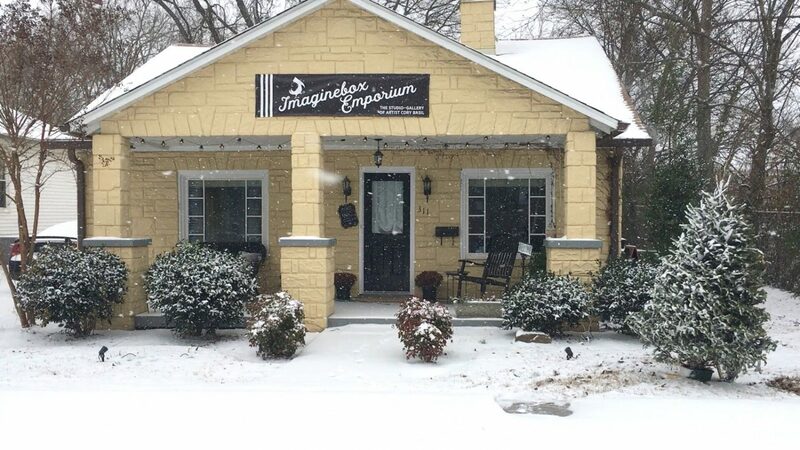 Landmark Booksellers, Merridee’s and Imaginebox Emporium will all be open tonight! Although the Toasty Trolley will not be running, there will be plenty to keep you warm. Landmark Booksellers will be featuring fine photography by Richmond Nairon and soulful music by Route 40 and Friends. They will also be serving hot mulled wine! Merridee’s will be serving up two hot specialty soups, along with their regular menu. Imaginebox Emporium will be featuring work by artist Cory Basil (who also designed our January poster!) and serving hot cider, wine and donuts! To stay informed about Art Scene news, please check the Facebook page here. Should you need to contact Art Scene today, please call (615) 305-3610. We look forward to seeing you all bundled up and strolling through #DowntownFranklin tonight!